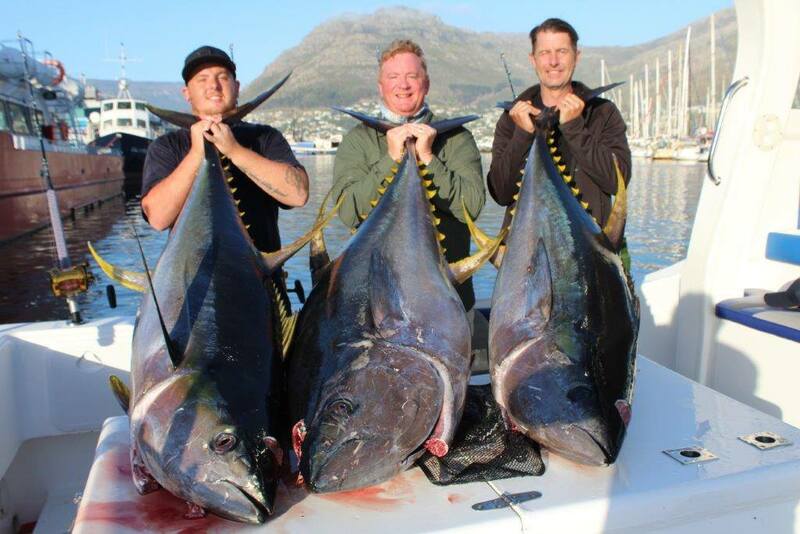 We’re the first choice for the best Deep Sea Fishing Charters in Cape Town. 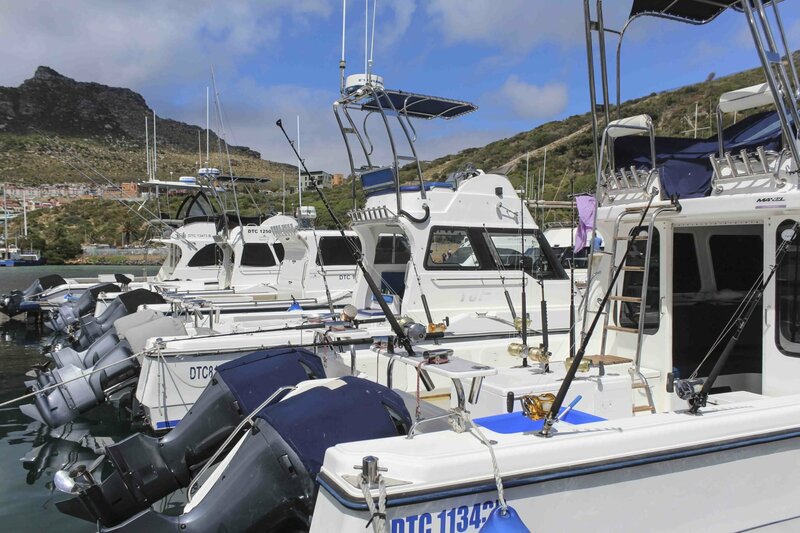 Choose one of our boats, book your fishing charter for Yellowfin Tuna, Snoek, Yellowtail, Marlin and Sharks. 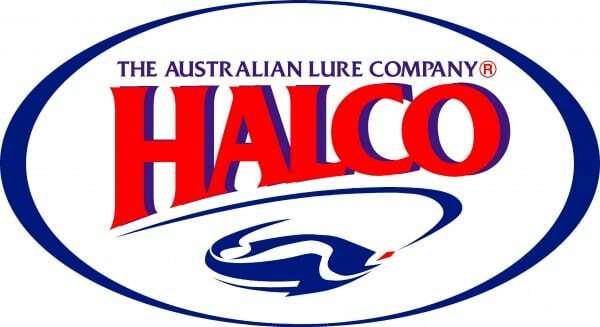 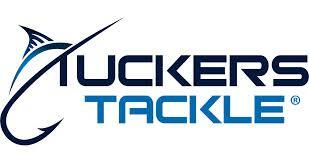 We provide all tackle, bait, catering and everything else you might need for the fishing experience of a lifetime! 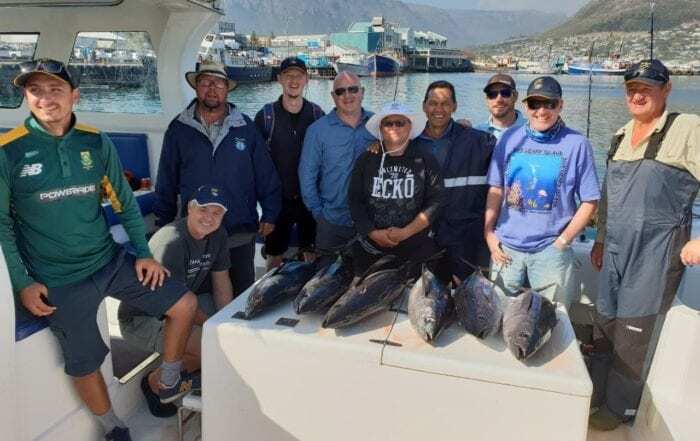 If you are interested in booking Tuna Fishing Charters out of Hout Bay, Cape Town, we have all the boats, crew, tackle, safety, experience and knowledge required to ensure you have a great day out deep sea fishing. 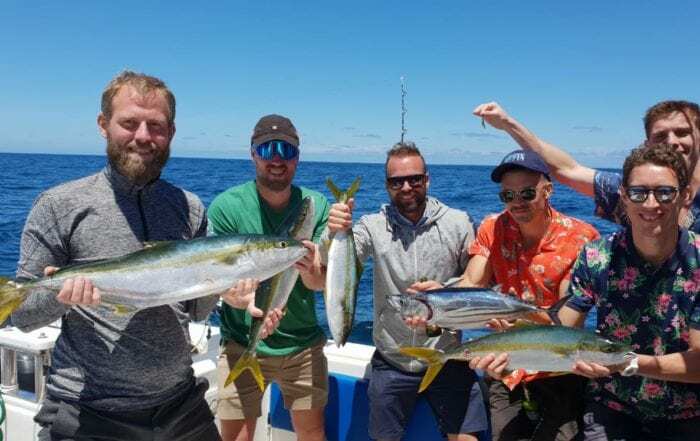 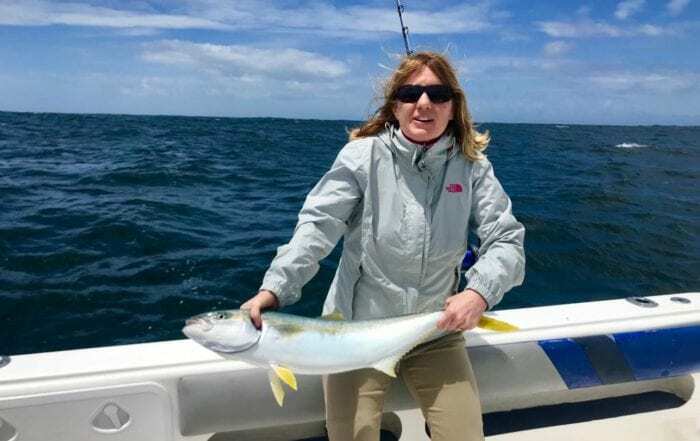 Find out more below and be sure to read through our fishing charter page to find out what to expect on a fishing charter. 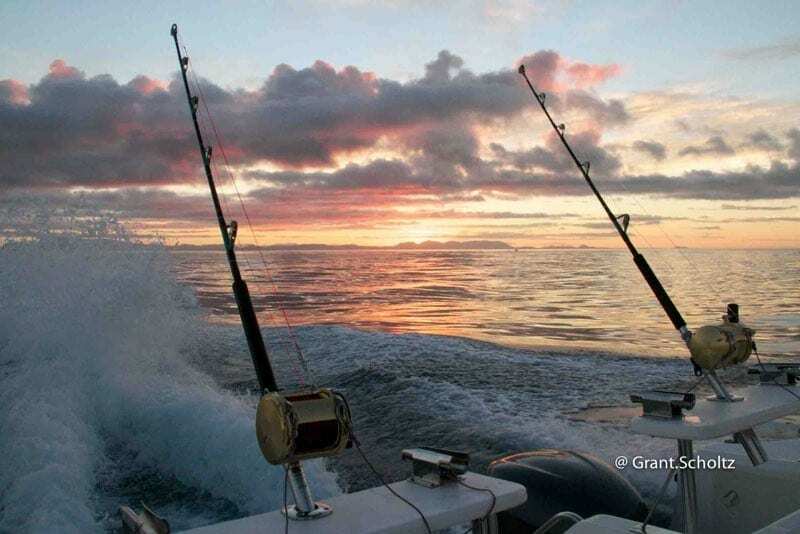 We have been operating for over 25 years and have a big network on the ocean, so we find the biggest fish first. 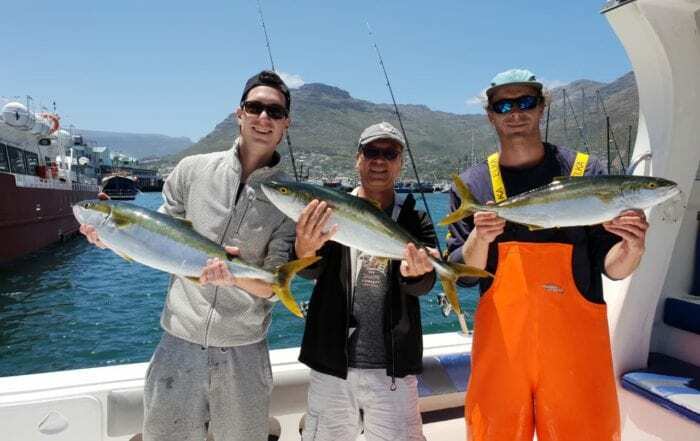 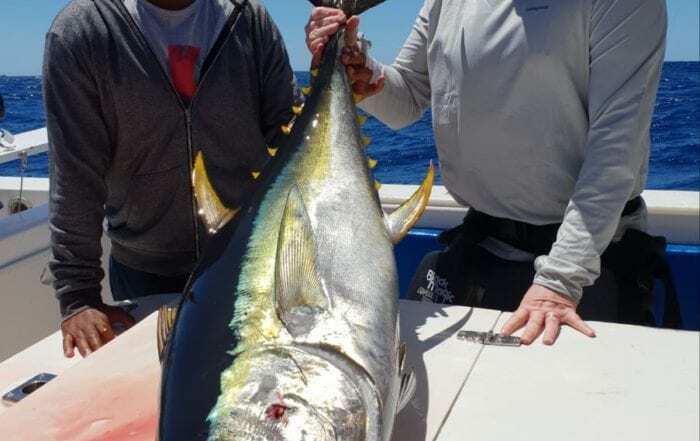 Deep Sea Fishing Cape Town2018-12-18T11:58:43+02:00December 18th, 2018|Comments Off on Clients enjoying fighting large Yellowfin Tuna last week.